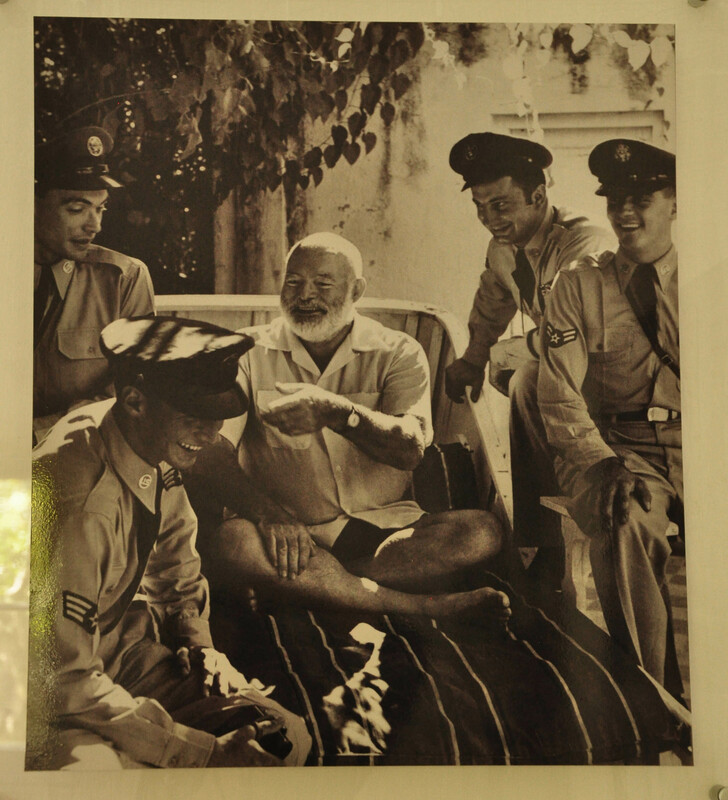 This post is a sort of post-scriptum for the previous posts on Hemingway. At his finca there were two small square rooms on either side of the pool that I think were used as changing rooms. 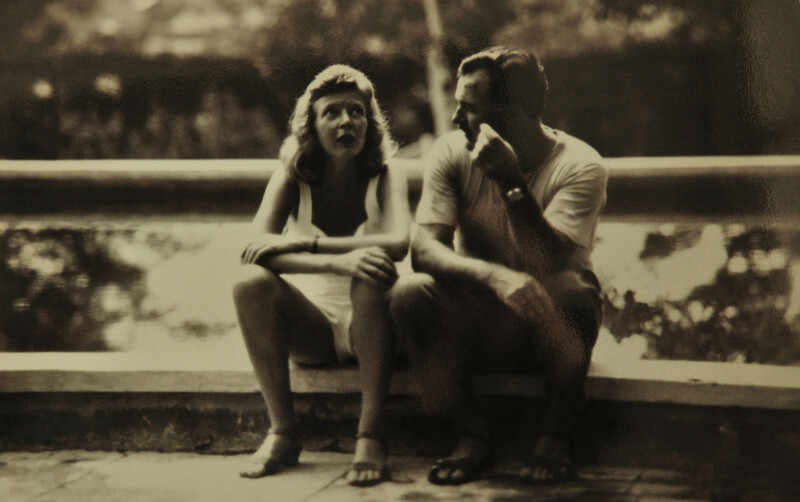 Now, they serve as a mini-gallery of the author’s photos, some of which are quite stunning. 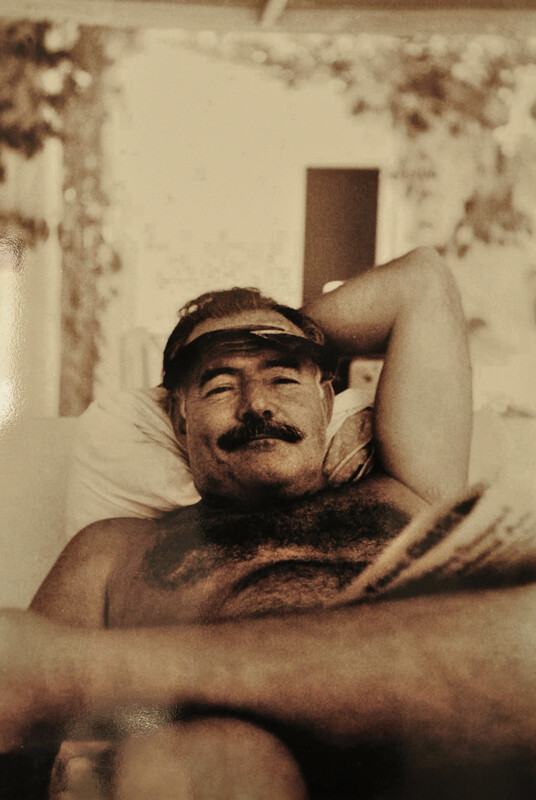 Hemingway, the King of Chillin’. 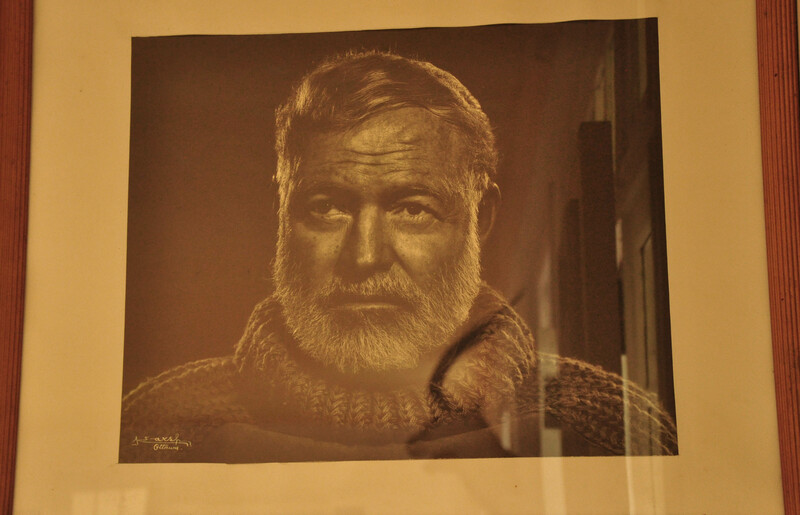 One of his most famous photos, I believe. Casually cross-legged and laughing with a group of Cuban military. This one is great. 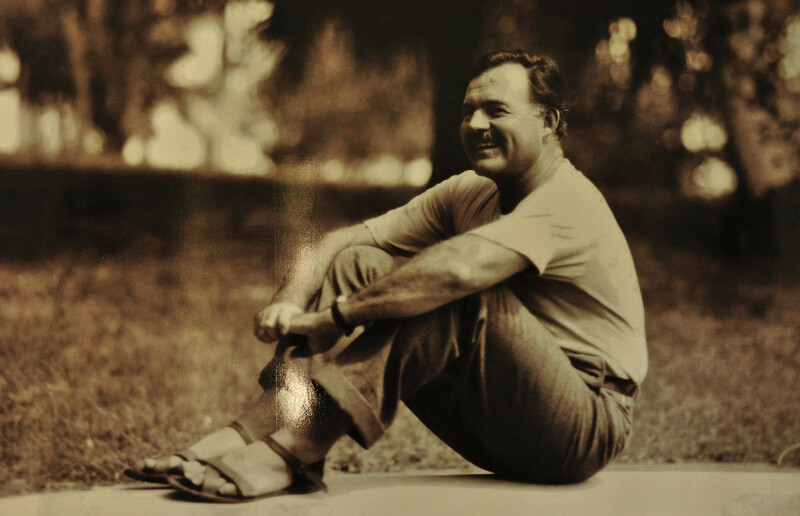 A young Hemingway. I wonder what he was smiling about. More pensive, he seems to be about to get annoyed with the photographer…. 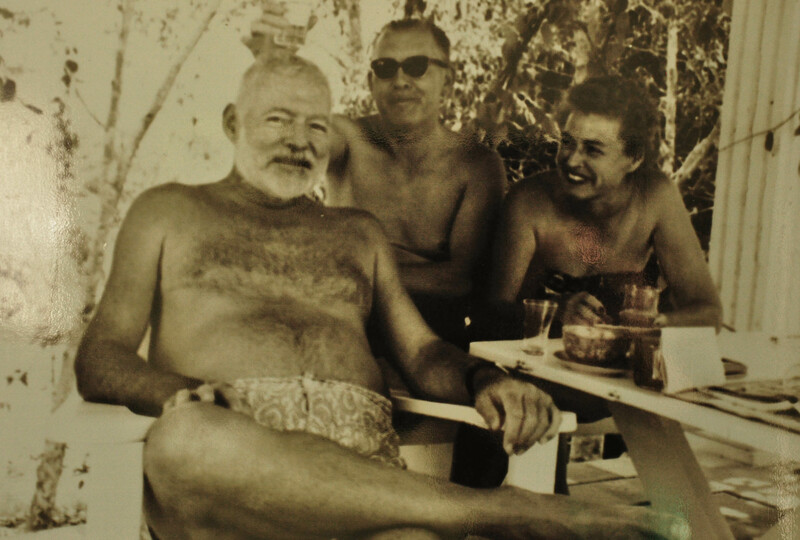 With his current wife, by the pool. 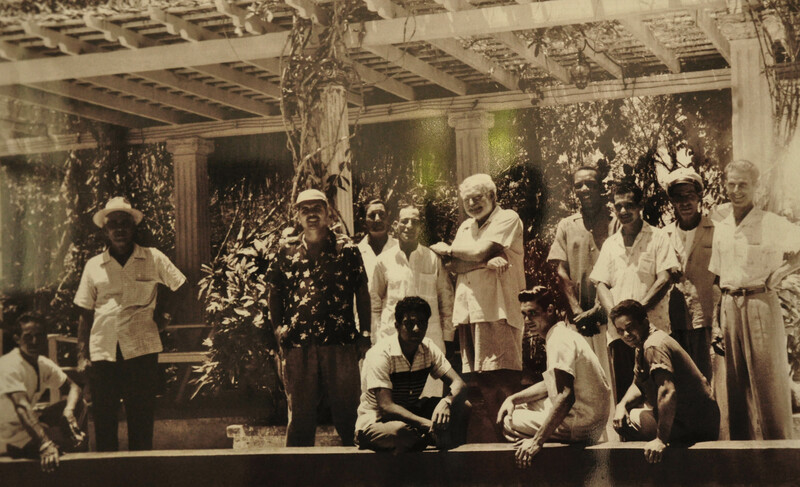 A group photo of unknown (by me) people around the pool.